Kris was easily the strongest person in our grade, if not the whole school. He said it was because of all of the work he had to do at home. There were always things to make, stables to clean. Coaches would dream of him being on their team, and as his locker buddy, I can verify that each of them, at least twice, has begged (begged!) him to try out. Kris would always laugh (that deep belly laugh) and say no. Once I asked him why he didn’t go out for sports. His reasoning? He didn’t like the idea of anyone losing because of him. Kris and I would talk often, never really about classes or important things, but about life. He seemed to always get a kick out of our conversations, and we shared a locker even after it was no longer necessary. During our senior year, Kris and I were the only two who did not talk about college or meet with an adviser. Kris had his family business to think of, for me, I was more the dreamer. See, I wanted to see the world! Ever since I was a child and I would steal National Geographic magazines from the library, I fantasized about seeing… well… everything. I wanted to explore the Parthenon, walk the Taj Mahal. I wanted to discover everything the world had to offer and the idea of sitting in a stuffy classroom felt like almost the opposite of that to me. The problem is, no matter how many jobs I took, I could never save enough money. I had been working since I was a Sophomore and even though I skimped and saved, I had barely enough for a plane ride to Europe and then immediately back. Kris noticed my frustration around this right before our Christmas break that year. Our locker was always decorated for the holiday. Actually, no one decorated their lockers like Kris. And teachers and fellow students would look forward to it, wondering what Kris would come up with that year. But when you are in a bad mood, it was unbearable; and on this day, it was, as I threw the pile of advent calendars off of my biology textbook. “What’s wrong, Stewie?” Kris asked concerned. I didn’t even know he was there behind me. I put my book down by me, and quickly began putting his calendars back in the locker. I knocked down a wreath and cursed a little at myself as I hung it back on a hook. I don’t know why it was always so easy for me to open up to Kris, but I did that day. I almost didn’t go to my high school’s tenth reunion. There are some good reasons, the main being I didn’t feel I had anything special to share. Oh, I did explore the world. Did it for almost a year! But when I returned from my adventures, reality hit me hard and the idea of going to school suddenly turned into an unattainable dream, even more expensive than my trip had been. When I began working in the auto factory in town I promised myself it was only until I saved enough to go to school. But life would always get in the way of that, with bills and rent always chewing away at it. I could have done the whole student loan thing, but I didn’t like the idea of carrying that burden. It felt like it would lock me down and I wanted to be free, just like I was when I was exploring when I was young. Now, I knew what others from my class were doing. It was hard to avoid it with social media being what it is. And while I never updated my status or shared insights into my doings (which were scant and nothing noteworthy) I saw their families grow, as well as their homes. Doctors, lawyers, teachers, my classmates ran the gambit, and I couldn’t help but feel like I was on the bottom. Were those the conversations I was looking forward to? Listening to people talk about their successes? Nodding and hoping that they don’t ask about me. When the day of the reunion arrived, I decided to go mainly because not going felt worse in my imagination. I snuck into the ballroom that night, sticking mainly to the back, hoping no one would notice me (but secretly hoping everyone would). I choose a table in the dark, only once getting up to go to the bar. I chose an imported German beer, dreaming a little that someone would ask me about it. Which I would then follow up with my own tales of exploring Germany. That would at least give me something, right? Kris’s arrival at the party was the exact opposite of mine. His beard was now white, and he had a little more of a belly hiding behind his red coat, but the laugh had not changed at all. He immediately began to let it roar as soon as he entered and the entire room erupted into applause at the sight of him. In a matter of seconds he was the star of the party, and even his date was the most gorgeous woman there. I thought she looked like a model, with her pixie haircut and beautiful green gown. She followed at his side, as he greeted everyone around. I watched in awe as he not only remembered everyone’s names but also knew the names and ages of their children. After an hour of this observing, I felt worse than when I had arrived. I was about to sneak out the same way I had arrived, when a firm hand clasped my shoulders, holding me down. “Stewie!” He said in that loud only-Kris way. “I’ve been looking for you!” He sat quickly by me. “Oh, where have you been?” she asked me, and with that simple question began two hours of the most blissful conversation I had ever had. She found me fascinating, she was witty, I could have talked to her all night. “What do you mean, Stewie?” He replied and sipped from his hot chocolate (he was the only one drinking it there, the waitress was surprised when he ordered it). My mouth almost fell open as I looked to Kris and then over at the beautiful, smart, witty, and amazing woman who was disappearing behind the door. “What do you mean,” I asked turning back to him, still feeling at a loss by everything going on. My wife and I would have two children, twins, a boy and a girl. And while both kids had my green eyes, they both had my wife’s pointy ears. Actually, they in many ways were like mirror reflections of my wife and they also had much in common. One of the most prevalent being their obsession with Christmas. In many ways, I felt like I was the only advocate for other holidays. There they would be counting down the days to Christmas and I would be lighting fireworks on the driveway. They could be pretty sneaky around their love of December 25th. For example, I was pretty sure that they all listened to Christmas music when I was out of the house, and when they had to pick costumes out for Halloween they would lean towards Christmas characters. Yes, the Ghost of Christmas Future can work for Halloween, I would argue, but Rudolph was pushing it (of course, my daughter would still be him for two years in a row; on the second year, my wife even found a way for her nose to glow). We lived in a little house, about as much as my job at the factory could afford. My wife never sought employment, instead enjoying working for charities and assisting in any event she could find to help. If there was a bake sale, she would make the best cookies; if there was a can drive she would collect the most. And on every Thursday afternoon you could find her at the local nursing home reading to the senior citizens. I never considered asking her to find a job to help out with the bills. It would have taken something away from her, a bit of her spirit would have been lost. So I did my best to support our little family, dreaming of days when things would get better. It began slowly at the factory but all of us workers could feel it approaching. First, they froze our pay. That happened for a few years. Then they cut our pay… when that didn’t help, people began to lose their jobs. I was happy not to be one of the first to be cut, but my time came soon enough. I never realized what a great actor I was until I had to begin to pretend to my family that everything was okay. I would spend my days at the local library, using their computer to try and track down a job. My dream in the early months was to find a job before I would have to tell my family. Then I could present it as me moving onto something as compared to being saved. But the fact I never got a college education haunted me, and the few times I was able to get interviews my lack of education never led to a second. By the time we reached December that year, I was the odd man out in my family, like a light not working in a strand of Christmas lights. But it was more than a light out, I had gone dark, and I even began to review my different life insurance policies. Most evenings I didn’t sleep. I told my wife I was reading a really good book and didn’t want to disturb her and that is why I would stay in the living room, but mainly it was to think. Sometimes I would stare and think without a drink, but soon a drink was always at my side. That is how Kris found me on Christmas Eve. I knew who it was just by the touch of his hand on my shoulder, much like he did at the reunion, but this time not playful, but caring. “Stewie?” He asked, and I slowly rose my head. My hands knocking some of the empty bottles over in the movement. We talked for over an hour, me and Kris. I told him about my job, my regret around not going to school, worrying that I was hurting my family (that was the big one for me). And through all of it, Kris simply listened, and occasionally nodded. I don’t know why it was so much easier to open up to him than to my family, but it just was. It always was. “I’m sorry,” Kris said quietly. It was the first time I had ever heard Kris speak in something akin to a whisper. I don’t know why it meant so much to me, but it did. Kris rose from the seat and walked to our Christmas tree, which the kids left on for him. He grabbed a cookie from a tray near it and nibbled on it as he thought. “Excuse me,” I asked, confused and struggling to get up. “I still don’t understand,” I said and took a step towards him. If you liked reading this post, why not check out one of my books? I’ve just had a book published collecting some of my most popular posts. It is entitled Me Stuff. 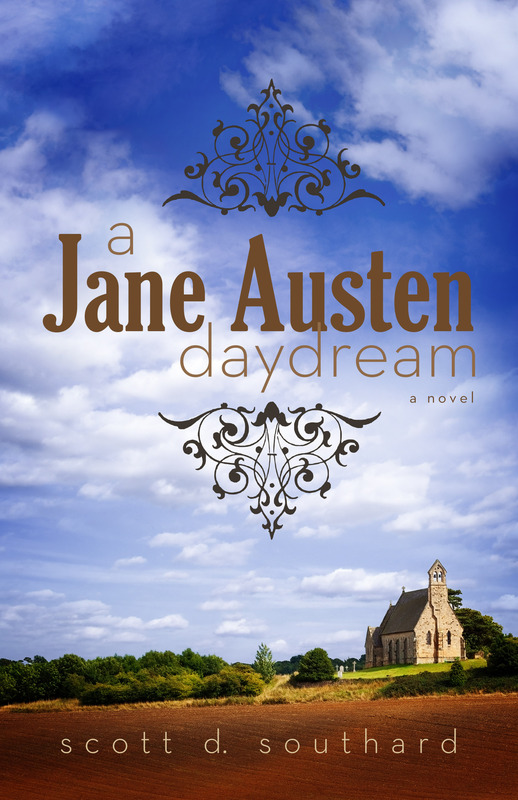 If fiction is more your thing, I’ve had four novels published in the last few years, A Jane Austen Daydream, Maximilian Standforth and the Case of the Dangerous Dare, My Problem With Doors and Megan. You can find all of these books via my amazon.com author page here. Thanks for reading! 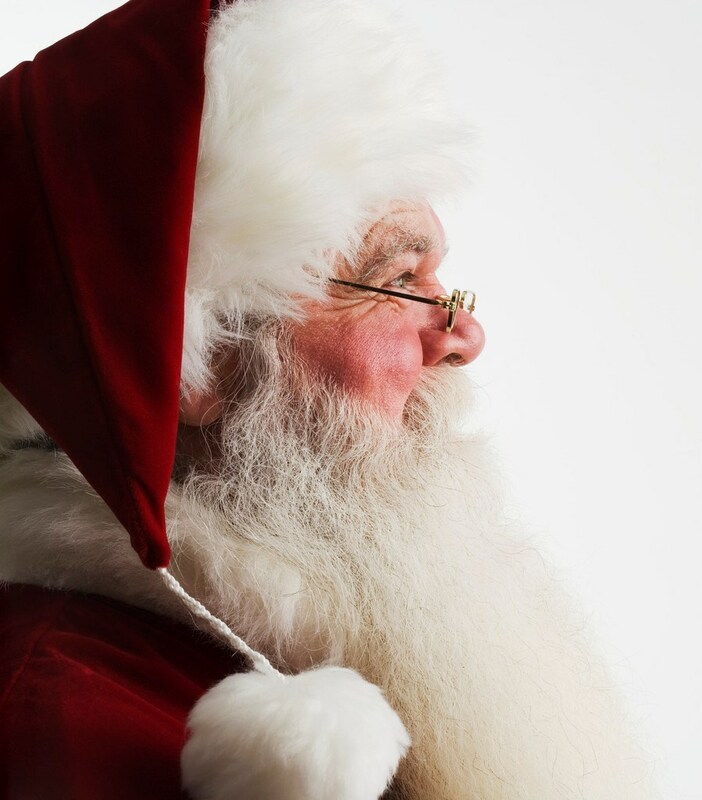 This entry was posted in Fiction and tagged Christmas, Fiction, Holiday, Holiday story, Kris Kringle, Santa Claus, Short story by Scott D. Southard. Bookmark the permalink. I had some really great excuses prepared for why I didn’t write a post last week. Everything from busy writing to holiday stuff, but really I’ve just been busy playing Batman: Arkham Knight. There we go. The truth is out there. Deep breath. So when the serious voice in my head asks me “Do I want to write a blogpost or try to solve another 20 Riddler puzzles?” I quickly jump to option 2. Oh, I feel guilty. Certainly I do, for about 20 minutes. Then I am Batman and life seems to be at peace again like Bruce Wayne’s parents (too soon?). Anyway, to start the holiday season off, I thought I would repost this Christmas short story I wrote last year. I hope you like it. And remember… I’m Batman.